Selecting the right remodeler for your home can be difficult. Working with a local remodeling company (as opposed to a national branch) has several benefits. Read more about choosing a local design build remodeler here. Once you've selected the right remodeler for yourself, it's important to make sure that your home is within their service area. Browse our map and service area pages to learn more about where we work. 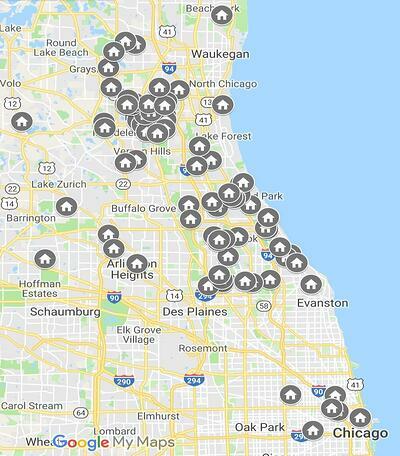 While we focus on Chicago's North Shore neighborhoods, we do make occasional exceptions - so send us a message if you don't see your neighborhood on this map.